There are 170 posts filed in Smurf Figures (this is page 1 of 17). 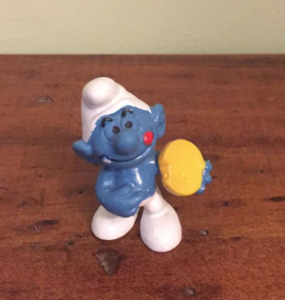 When I started collecting smurf figurines there were some really odd figurines that made no sense to me, some examples of this included Puppy, Smoogle, Chitter and Nanny. For someone who never read the comics or watched the NBC cartoon series I was really miffed on who these characters were. For today, I would like to just discuss Nanny or as others sometime refer to her as Oma, Granny or Grandma first released in 1990, article #20408. The Nanny figure wears a pink nightgown and scarf around her neck. Nanny has grey hair and wears glasses on a chain. Upon its release there were some who felt that Nanny should be holding a knitting bag as she does in the cartoon. The character of Nanny first appeared in the cartoon series in season 8, first aired in 1988 to 1989. 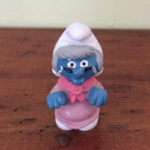 Later on Nanny would also appear in smurf comics and books. 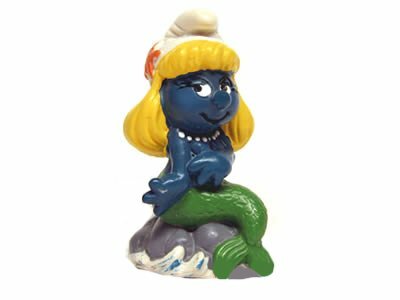 Similar to Grandpa Smurf she would love to tell stories to the younger smurfs especially the Smurflings. She was also very fond of a pink rabbit like marsupial pet called Smoogle. 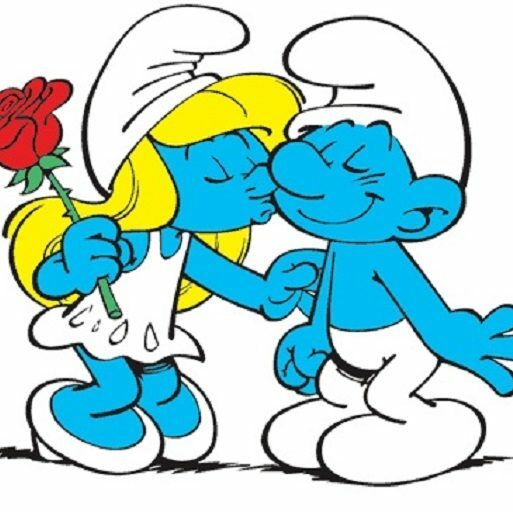 In 1990 Applause attempted to relaunch the smurfs to the US market in conjunction of the screening of the cartoon series which was later canceled. 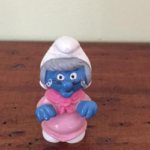 Nanny was one of eleven smurfs that were manufactured by Applause out of China. Nanny was also later sold by Irwin Toys in 1995/96 in the USA and Canada. This version of Nanny has a more of mauve coloured nightgown. Nanny was also manufactured by Schleich around the reunification of Germany so it is possible to find with W.Germany or Germany markings. Around 1991 the W in front of Germany was blocked out on existing moulds. 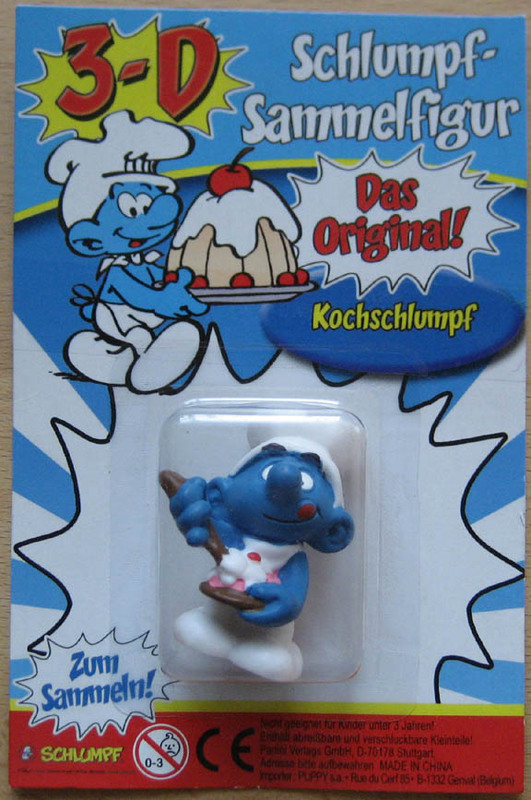 From 1991 smurfs were now showing the country Germany. It is also possible to find with or without CE marking. 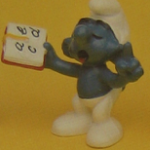 The CE marking was added to smurfs around 1990/91. The Schleich version has more of light pink nightgown compared to the mauve Applause version. Schleich continued to sell Nanny right through to 2000. If I was honest Nanny is not one of may favourite figurines as I never watched the cartoon series. 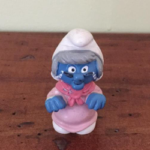 But for someone who likes to smurfs with different markings, Nanny is one of the more interesting ones. This is because you can workout out the chronological order they were released just by the markings. 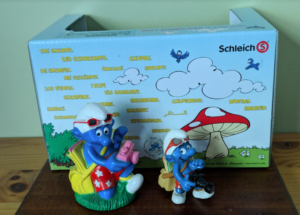 Back in 1999 Schleich released six new Smurf figurines and five new Super Smurfs. Some of these are now considered highly collectible by collectors due to their short period they were sold and their unique designs. 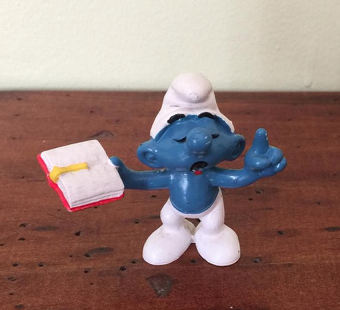 BMX Smurf: Out of all the smurfs first released in 1999, BMX Smurf was sold for the longest period from 1999 to 2015. 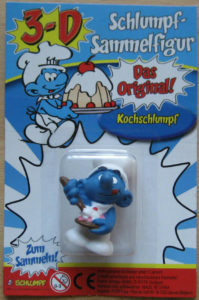 Motor Scooter Smurf: Only sold for five years from 1999 to 2004, though possible to find with either shiny or matte blue skin. The number plate on the scooter has S1. Markings under feet, Made in China Germany 98. Ce marking under smurf’s bottom. There are no markings on the scooter. 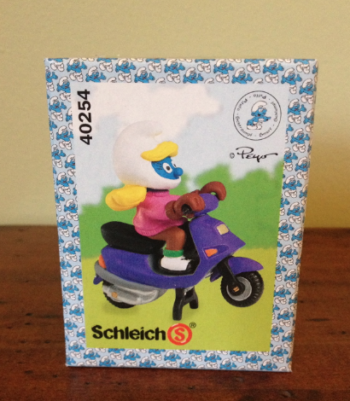 Motor Scooter Smurfette: Strangely this was only sold for three years, from 1999 to 2002. The number plate on the scooter has S2. 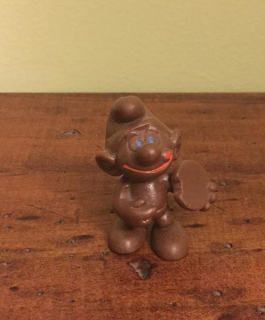 Smurfette can also be found with a blue paint dot under her foot. 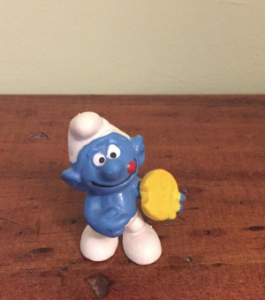 Some consider this one, the hardest one to find out of all five Super smurfs produced in 1999. 40255 Racing Driver (in a red car): Was produced between 1999 to 2005. 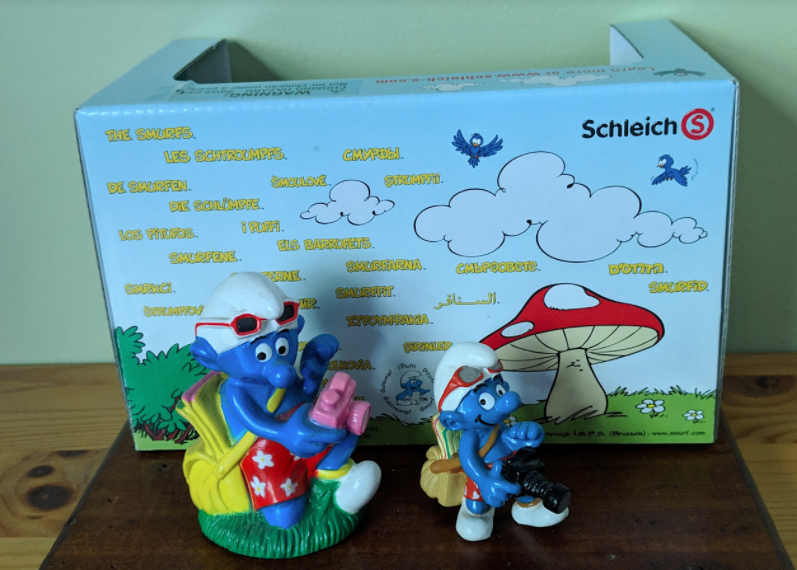 The markings can be found under the feet, Schleich S Germany Made in China © Peyo 98. Ce marking under bottom. There are no markings on the racing car. Racing Driver (in a silver car): Just like the Motor Scooter Smurfette it was only produced for three years, 1999 to 2002. Exact same smurf and car as Red Racing Car. All of the five Super Smurfs from 1999 were made and painted out of China. 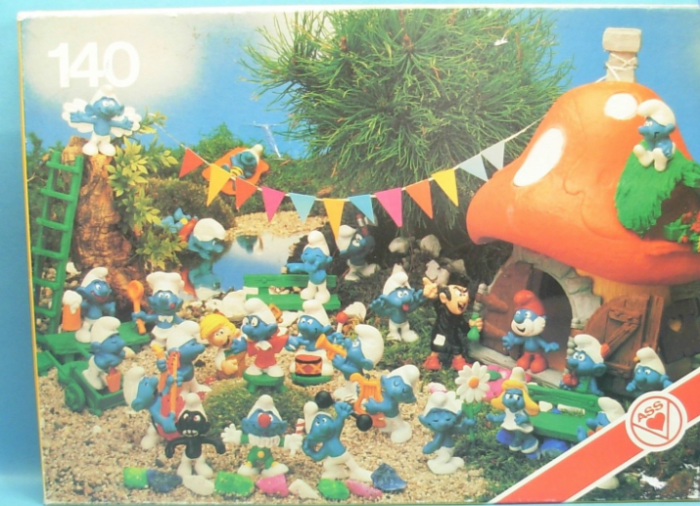 They were all originally sold with a Circular Smurf logo with dancing smurfs pattern box. 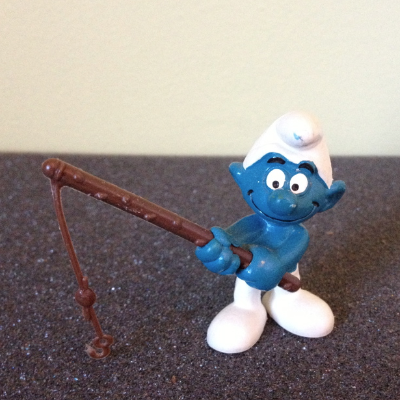 I hope you have all enjoyed looking back 20 years to see what smurfs were produced. 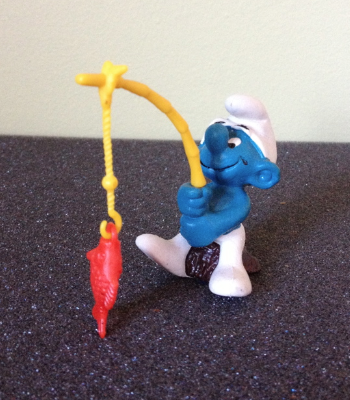 These were the days when Schleich created smurfs with a fresh, colourful, modern look to great effect. It’s unfortunate in my opinion this is no longer the case. Super Smurf Scooter Smurfette, is my favourite from 1999 because of the beautiful design of the scooter and paint colours used.